Goto https://www.instagram.com/developer/ and click ‘Log in’ on the top right. If you are not yet logged in to Instagram, you will be prompted to. Click on ‘Manage Clients’ on top right. Hit ‘Register’ and your Instagram will be created. You can see it in your ‘Manage Clients’ dashboard. Click on ‘Manage’ on the top right of your app. Click on ‘Manage’. Here you have the Client ID and Client Secret which you need to add to your OAuth.io dashboard. 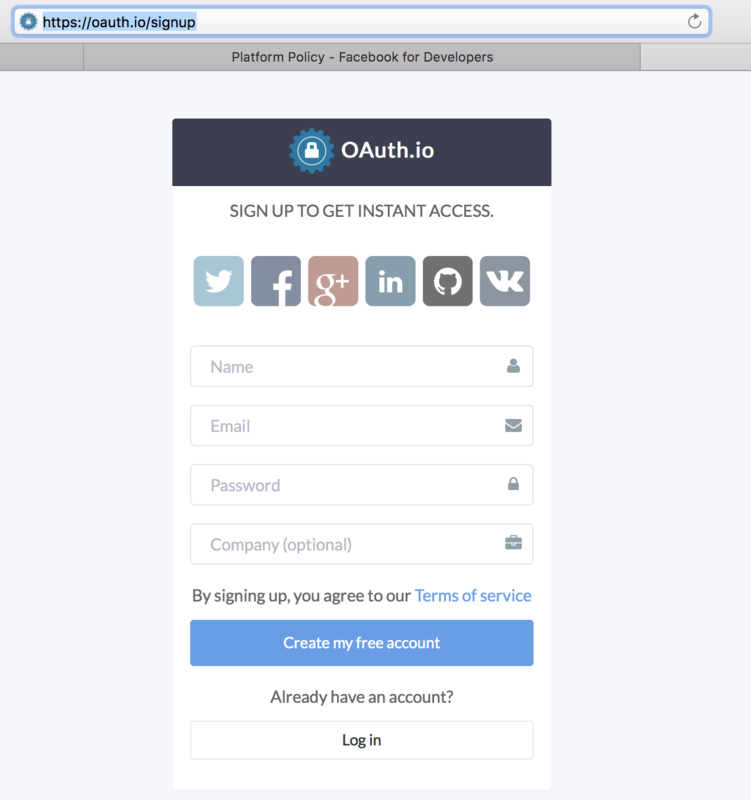 Create an account on OAuth.io. On the main dashboard, click on ‘Integrated APIs’ on the left menu. On the ‘Integration APIs’ dashboard, click ‘Add APIs’. Select ‘Instagram’ as the OAuth provider that you want to add. From your Instagram app page, copy the Instagram ‘Client ID’ and ‘Client Secret’ that you noted earlier into ‘client_id’, and ‘client_secret’ fields, respectively, select your desired scope and then click ‘Save’. Click on ‘Try Auth’ to see if you have configured OAuth.io to access your Instagram app correctly. Should you have any further questions, just ask our team on our live chat.